At the South Durham Farmers Market, we met a wonderful woman who used to live in Borneo. She was so thrilled to learn we don’t use palm oil in any of our products, particularly our soap. Palm oil has been used for many years in nearly everything for both food and cosmetic use. It’s solid at room temperature, which makes it ideal for thickening and hardening products. It’s frequently found in granola bars, candy, and packaged food items as well as soaps, lotions, and other personal care items. The problem with palm oil is not with the oil itself, but with the destruction of the environment that comes with the harvesting of the trees. Orangutans, an endangered species, live in the rain forests of Borneo and Southeast Asia. They are particularly affected by any deforestation in the region. In Indonesian, “orangutan” means “Person of the Jungle” and these amazing creatures share 97% of DNA with humans. It’s important to say no to palm oil (link) to help protect the environment and the species. In Southeast Asia, conservation is not on the mind of many like it is in America. Orangutans are thought of as pests and are casually run over with logging trucks or shot on plantations. Plantation workers also burn vast areas of land to clear it for new growth. Many believe slow-moving Orangutans cannot get out of the path quickly enough and are burned to death. Because of this information, we are 100% committed to the Orangutans and we will never use Palm Oil in our products. Deforestation is an ongoing problem and there are many alternatives to Palm Oil in both food and personal care products. There are new and ongoing developments with sustainable palm oil. This oil is harvested responsibly and any product made with sustainable palm oil should bear a logo (find US logos, etc). 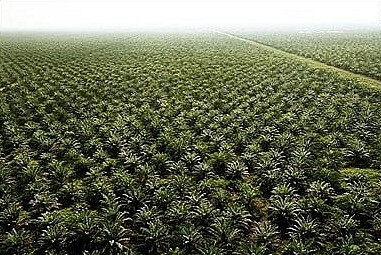 Keep in mind that a very small percentage of palm oil is sustainably grown and harvested. In some cases, it’s also possible to mix certified sustainable palm with non-certified (or non-sustainable) palm and still make the claim. Food products labeled with the term “vegetable fat” may also contain palm oil. Be sure to check with the manufacturer if you are concerned. With the increasing destruction of rain forests and of species around the world, we have successfully found alternatives to many cruel or questionable ingredients currently used. We’re proud to be a Palm-Free, truly vegan company and you can be sure no animals were harmed in the creation of our products. Check out the World Wildlife Fund for more information on what you can do to help Orangutans. Not that long ago, I was a voracious meat-eater. I would eat burgers, steaks, duck, chicken, turkey, and good ol’ fashioned NC pulled pork BBQ. In 2010, I started playing with the idea of not eating meat, but at least once a week, I fell off the wagon. It took me nearly a year to cut meat out of my diet. Without detailing the ups and downs of my transition, the documentary Forks Over Knives solidified my desire to remove meat and dairy from my life. I had already cut out animal ingredients in my skin care products, but for some reason, my brain never truly made the connection between animals and food until I saw Forks Over Knives. 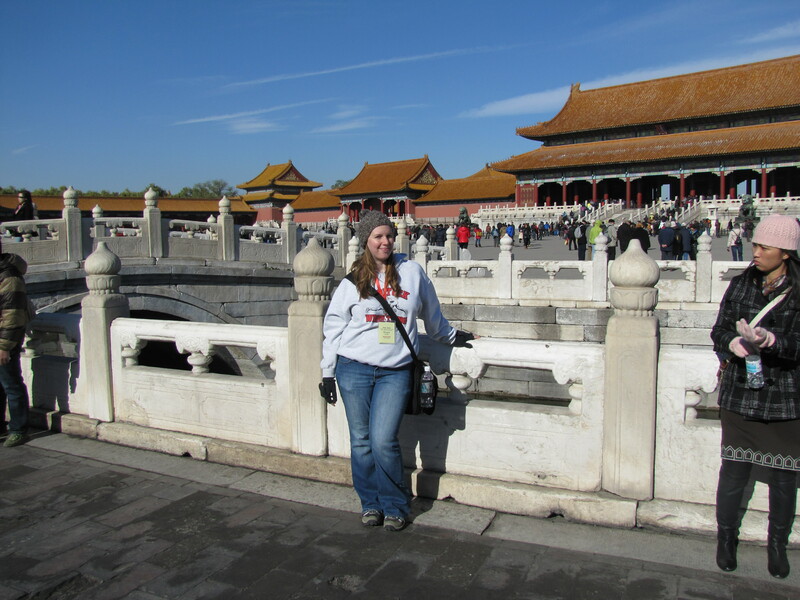 In November of 2012, I was lucky enough to take a wonderful eight day vacation to Beijing, China. My parents, husband, and I took a guided tour and saw the Great Wall, the Lama Buddhist Temple, the Forbidden City, and many other historical and cultural sites in Beijing. Luckily, the tour company provided vegetarian meals for those who requested them. Not only was it incredibly easy, but because the Chinese done usually cook with dairy products, I got to be dairy and meat free for a whole week. While eggs are a common staple in Chinese cooking, it was very easy to opt out of the egg dishes and still be beyond satisfied. While I was in China, I realized I had never felt better. I thought it was the allure of being in an exotic, foreign destination, but looking back, it was because I didn’t have meat and dairy polluting my body’s systems. Upon returning to the States, especially in the South, I noticed how dairy is nearly inescapable. After a week of not having dairy, particularly cheese, my body rejected it completely when I tried to eat it. I then realized that my wonderful vacation was my catalyst into veganism. For several years, I had struggled with the inability to cut out dairy because of my own weakness (and my love queso dip…). After my vacation, I realized I was the only thing getting in the way of removing dairy from my diet. I am still a work in progress. My transition to veganism is nowhere near complete, but as so many vegans have said, “Focus on what you can have, not what you can’t have.” This statement is beautiful, true, and I repeat it as an affirmation everyday. It doesn’t matter what label you put on yourself; the journey you’ll take to healthy eating is your own and I am here to support you! Tell me about your path to a healthier you in the comments! You may have recently seen excerpts from Yao Ming’s tour in Africa for WildAid. He went to several areas of Africa to see first-hand what illegal poaching is doing to our rare wildlife. Not only did he see what the rhino-horn trade does, he saw the toll it takes on the elephant population for the illegal ivory trade. As cruel and horrible as these actions against animals are, there is something you can do to help! Why are Elephants Being Killed? The short and simple answer is- for ivory. Although the trade of ivory was essentially banned in 1989, ivory is still a hot commodity in China and other parts of Asia as a way of designating status and wealth. Now, as China’s middle class has more discretionary income, ivory is highly sought after. In Beijing, ivory is said to be around $1,000 per pound. Elephant poaching is so severe, many wildlife experts fear for the survival of the species. How is Coffee Going to Help? What a great question! Short of throwing boiling hot coffee on to elephant poachers, it doesn’t seem that coffee is a likely accomplice in the protection of elephants. But it is! By purchasing fair trade coffee, you can help ensure the protection of the environment. One of the values of the Fair Trade Federation is to ensure their business practices are “cultivating environmental stewardship.” All decisions are made with the environment in mind and members of the FTF actively engage in sustainable practices. Since coffee is an important crop in Africa, the farms can often encroach on elephant habitats, leaving them less room to roam, and avoid poachers. Buying certified fair trade coffee helps small farmers and co-ops make money fairly, supports their local economy, and encourages environment and animal protection and conservation. Of course, you shouldn’t buy ivory. Ever. There are also many conservation organizations if you want to get involved. You can also boycott organizations using elephants, like circuses or fairs, or boycott zoos that don’t give elephants sufficient space. One of the easiest things to do is to buy coffee with the Fair Trade Federation or Fair Trade USA logos on it. Of course, I encourage you to buy as many fair trade products as possible, but coffee seems reasonable enough. If you don’t drink coffee, share this with your friends who do! If no one you know drinks coffee, make sure you try our Vanilla Coffee Face Scrub, made with organic and fair trade coffee. It doesn’t take a lot to fall in love with animals. Most children have a favorite animal at an early age or love cuddling with all their stuffed animals. Let’s face it- does that ever really change? As the global population is exploding and there is more demand for living space and food production, the natural habitats of animals around the world is decreasing at a rapid rate. It’s estimated that humanity’s ever-expanding presence is causing species loss at a rate between 1,000 and 10,000 times higher than a natural extinction rate. You can even help local animals in your area! If you like an organization, group, or charity who does great work for animals, “Like” their Facebook page, follow them on Twitter, and blog about them, with a link back to their website, on your blog. This is a great way for the organization to get free press and for you to help spread the word of their good work with minimal effort. After all your tweeting, liking, and blogging efforts, you’ll eventually see some events where volunteers are needed. Some great local events include helping out with adoption day a local animal shelters. Larger areas may have volunteer opportunities at zoos, farm sanctuaries, or wildlife rescues. A simple internet search of “animal volunteer work” or “animal volunteer opportunities” will give you a wealth of information. Volunteering may seem scary, annoying, tedious, or unimportant if you’ve never done it, but to those you help, both human and non-human, your time and effort is invaluable. Organizations, worldwide and domestically, constantly need volunteers. The satisfaction you get from volunteering will having you going back week after week. As the holiday season rapidly approaches, you can do your part to save the animals by shopping with a conscience. Try buying fair trade and cruelty free products wherever you can. The Fair Trade guidelines ensure no animal habitat is being lost to farming or manufacturing while cruelty free products ensure there is no animal testing performed. Look for these words on the labels, and when in doubt, do more research on the company! In this economy, people are struggling financially. It’s no secret most people have cut back on non-essentials, including charitable contributions. If you have some spare change while you’re out running errands, drop it in the local animal shelter collection box. There are also many other organizations where you will get something in exchange for a donation. The World Wildlife Fund has a Species Adoption gift. This allows you to make your donation and receive a few items in return as a “thank you.” There are over 100 species of animals to choose. These donations make great gifts for other animal lovers, especially kids. While working, spending time with family, and all the other things we do on a daily basis, it might be hard to imagine that you can do your part for animals. These beautiful and beloved animals won’t be here for long if we don’t do our part to help protect them.